Such bright yellow color. And the flower looks resolute, strong. I wonder what kind of flower it is. Gorgeous, I love the bright yellow color! Beautiful! 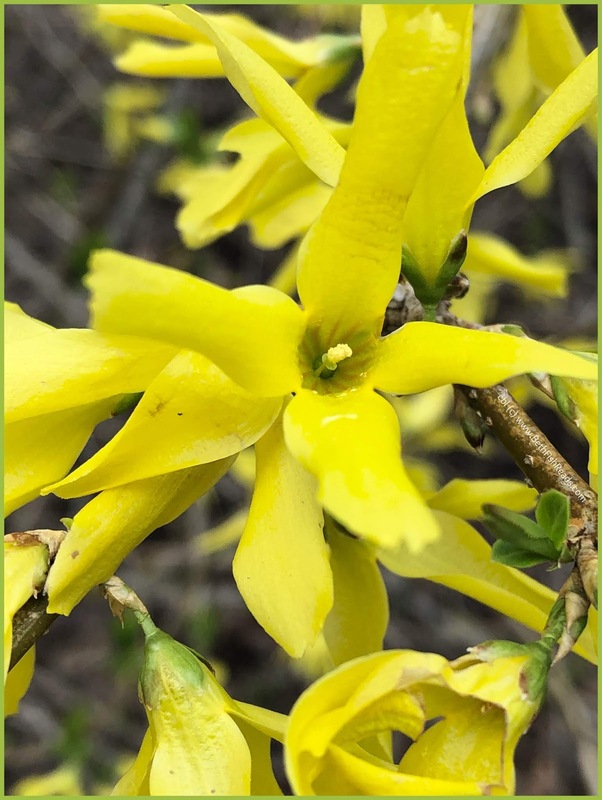 I miss forsythia, thanks for sharing! Nice splash of color on a Wednesday! Such a vivid yellow! Cheerful and bright!